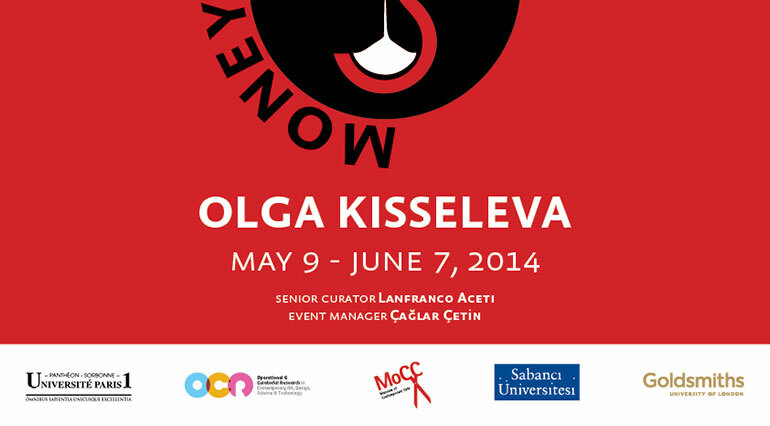 Time is Money and Money is Time are the two new exhibitions by Olga Kisseleva for Kasa Gallery and for the Museum of Contemporary Cuts. The exhibitions are conceived as two complementary and intertwined shows that happen simultaneously in physical and online spaces, creating a constant dialogue and reflection on the concept of money and time. Time is Money, the exhibition at Kasa Gallery, will show a series of artworks and videos by Kisseleva that analyze the monetizing of time not as an invaluable personal possession but as an object that can be exchanged. As an artist that crosses multiple media – video, installations, performances – Kisseleva through her works of art questions the role that we all play in relinquishing our time for monetization. Particularly within the context of contemporary 21st century media based societies, technology allows massive forms of exploitation and abuse. Time, as a personal property, is left at the mercy of a large variety of forms of exploitation that enshrined in forms of crowdsourcing and capitalistic frameworks of servitude, transpose time from the individual’s agenda to the corporation’s agenda. The tasks associated with time are no longer dictated by individual concerns but by corporative structures that, by re-allocating and creating tasks, steal time and money. The landscape, in Kisseleva’s works of art, is a space of exploitation and abuse where time signals the disappearance of resources; the time left to consume resources is directly related to the time necessary to appropriate those resources. Consumption is instantaneous – and within the circuit of the circulation of goods even anticipated with Futures; the time of the future (a time not come into existence yet) is already consumed. In this landscape humanity itself becomes part of the ‘consumption goods.’ Its time is taken away and reassigned in the increased velocity of human interactions restructured and framed within meta-data frameworks of post-capitalistic exploitation. Exhibition Dates: May 9 – June 7, 2014. Artist's BiographyOlga Kisseleva (Artist and Founding Director Art&Science Lab, Sorbonne University, Paris) was born 1965 in Saint-Petersburg. She graduated from the the Vera Mukhina Institute of Industrial Art in 1988 and continued her studies with a Ph.D at the Hermitage Museum as well as studying physics at Leningrad State University. In the early 1990s she studied at the University of California and Columbia University in New York, focusing on video art and multi-media, defending her Ph.D. dissertation on the topic of video and computer art. After receiving a Fulbright grant in 2000, she became part of a team of creators working on the development of numerical technologies in the United States. In 1998, Kisseleva’s book on video and computer art was published in France and other countries and she was invited to teach at Sorbonne. Since 2007 Kisseleva is Head of the Art and Science Department and a member of the High Scientific Committee of Sorbonne. She is also an editor of Plastic Art & Science Magazine at Editions de la Sorbonne. Olga Kisseleva works mainly in installation, science and media art. Her work employs various media, including video, immersive virtual reality, the Web, wireless technology, performance, large-scale art installations and interactive exhibitions. She realized numerous works of art and projects internationally: e.g. the Modern Art Museum (Paris, France), the State Russian Museum, (Saint-Petersburg, Russia), KIASMA (Helsinki, Finland), Museo Nacional Centro de Arte Reina Sofia (Madrid, Spain), Foundation Cartier for Contemporary Art (Paris, France), Centre Georges Pompidou (Paris, France), Guggenheim Museum (Bilbao, Spain), MOMA (New York, USA), the National Centre for Contemporary Art (Moscow, Russia).